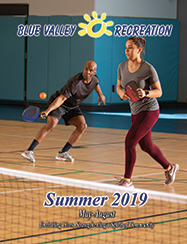 More than 7,500 adults participate annually in Blue Valley Recreation sports leagues, lessons, clinics and tournaments. During the winter months we have indoor dodgeball leagues. Instructional coaches' clinics are held annually for baseball, softball, volleyball and basketball.